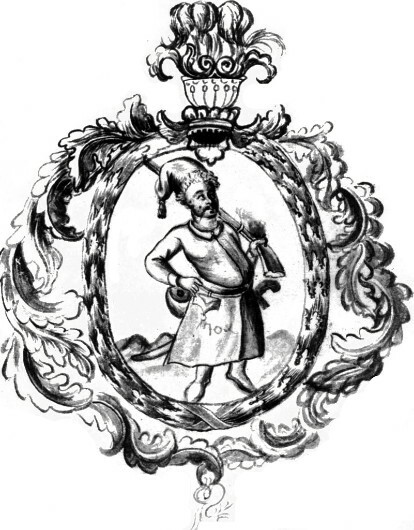 Hrabianka, Hryhorii [Граб’янка, Григорій; Hrabjanka, Hryhorij], 1686–1737/1738. A Cossack officer and historian. He held various offices in Hadiach regiment: judge (1717–23), quartermaster (1726–30), and colonel (1730–8). For signing and delivering the Kolomak Petitions he was imprisoned from 1723 to 1725 in Saint Petersburg. He died in a campaign against the Crimean Tatars during the Russo-Turkish wars. Hrabianka is the author of Diistviia prezil’noi i ot nachala poliakov krvavshoi nebyvaloi brani Bohdana Khmelnytskoho, hetmana Zaporozhskoho s poliaky ... (The Events of the Most Bitter and the Most Bloody War since the Origin of the Poles between Bohdan Khmelnytsky, the Zaporozhian Hetman, and the Poles ..., 1710). This work presents the history of Ukraine from ancient times to 1709; almost half of it deals with the Cossack-Polish War of 1648–57. Hrabianka used various official documents, eyewitness accounts, chronicles, the Sinopsis of 1674, the writings of M. Kromer, Marcin Bielski, Maciej Stryjkowski, A. Guagnini, W. Kochowski, S. von Pufendorf, and other works. His chronicle is inspired by the idea of Ukrainian Cossack autonomism. He condemns those Russian voivodes who restricted Ukraine's political rights. The work is known from numerous 18th-century transcriptions. 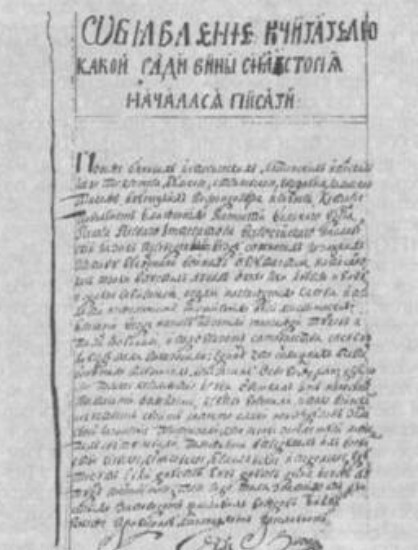 It was published in 1793 in an abridged version by Fedir Tumansky in Rossiiskii magazin and in 1854, using six different copies, by the Kyiv Archeographic Commission. The censored parts of the latter version were later published in Kievskaia starina, vol 47 (1894). Some scholars—Symon Narizhny, for example—expressed doubts about Hrabianka's authorship of the chronicle.